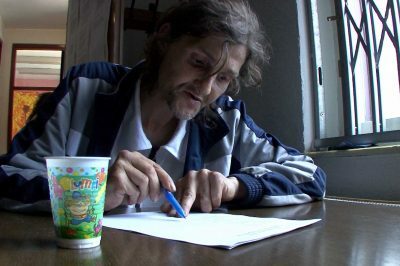 shares a lot of similarities with a story of homeless poet from Ljubljana (Slovenia). Both of them are fighting a heroin addiction, each in more or less honest but funny way. Denise’s beauty sometimes glitters bright through the hardship which darkened her face. Life among prostitutes on the streets of St. Georg is an adventure, combined with drugs it is an endless voyage between enormous joy, fear and pain. Denise is quitting step by step while her father is still giving her support. Both stories are constantly intersecting and overlapping each other. 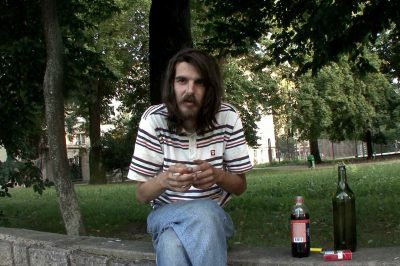 It becomes clear that somewhere in the background they describes two different societies and two approaches toward illicit drug users – a liberal one in Hamburg and opposite one in Ljubljana. Ljubljana one simply doesn’t work.